The answers are in! Were you able to guess where and when this photo was taken? 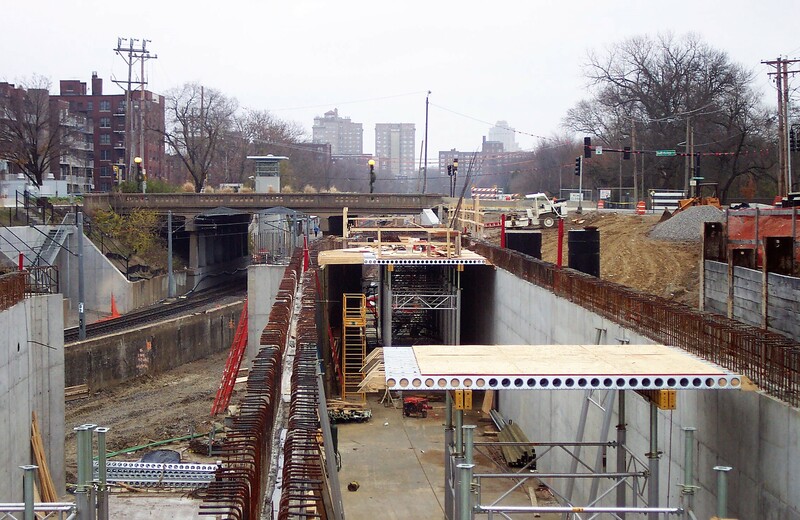 This is a photo taken during construction of the Cross County MetroLink Extension on December 10, 2004. It’s looking east toward the Forest Park-DeBaliviere MetroLink Station, where the new Blue Line would connect with the existing MetroLink Red Line.